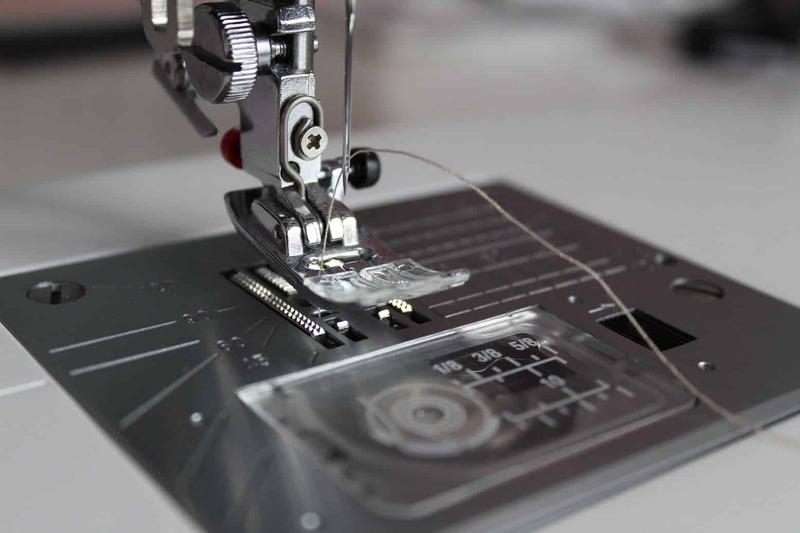 In this tutorial I am going to show you very interesting and unusual sewing technique – how to sew sheer material using only a bobbin thread for stitching. I sew a lot with silk chiffon and organza fabric. And not only because it is very beautiful, but it’s also very comfortable to wear in a hot climate, it’s breathable, lightweight and soft. 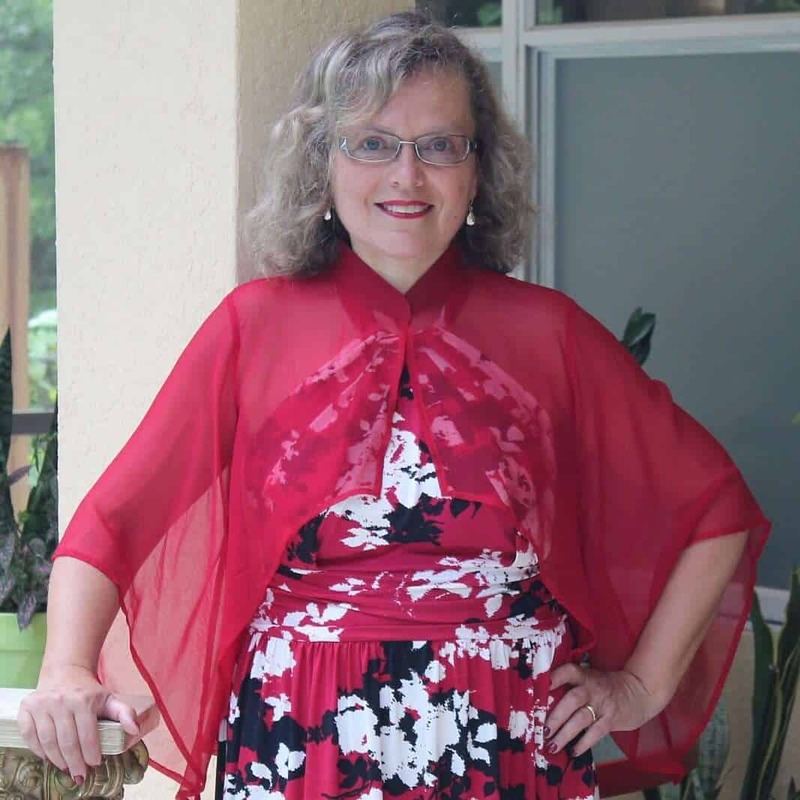 Chiffon and organza are often used for evening and wedding gowns, but I like to use chiffon and organza for everyday wear too. 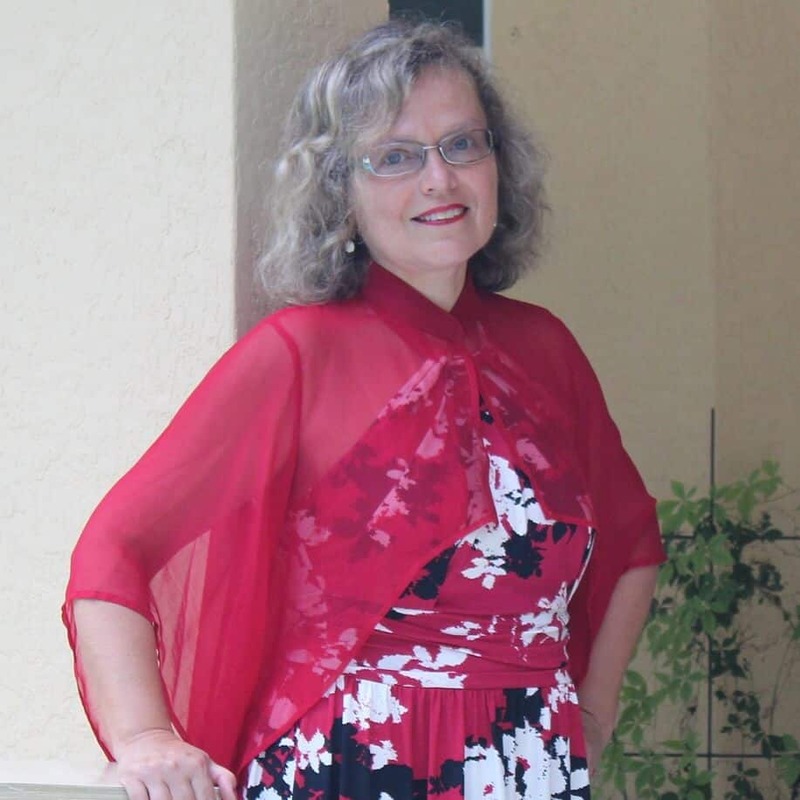 I mostly make shrugs, blouses, and scarves from 100% silk chiffon. Why shrugs? 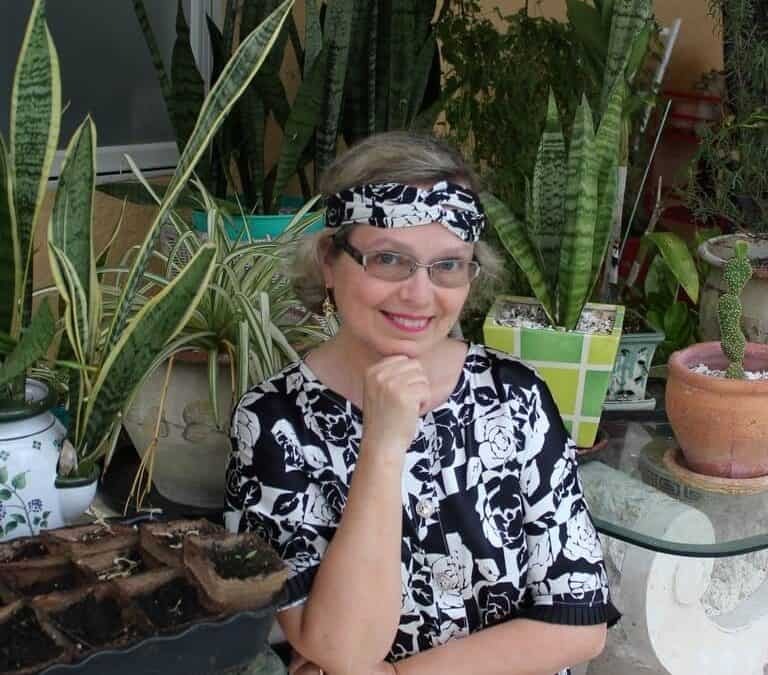 When you are over 50 the skin on your arms doesn’t look young anymore (unless you are a movie star and use Photoshop a lot) and wearing sleeveless or spaghetti strap dresses is often not an option if you care how you look, the sagging skin on the arms just doesn’t look nice. So, I decided for myself that I will make a shrug for every sleeveless dress I made before. And I made shrugs from chiffon and organza fabric which is so lightweight that I don’t even feel I have some sleeves to cover my aging arms. But there are some difficulties working with sheer fabrics. I wrote an article how to cut chiffon without problems. And now I want to show you some trick I use to sew darts that look good in sheer fabric. When you sew darts in sheer fabric you can’t just backstitch to secure the seams, it doesn’t look nice. And if you make a knot at the point of dart you still can see some threads through the sheer fabric. But there is some technique that makes darts look nice and eliminates the need for backstitching and knots. This technique is quite simple and at the same time it fascinates me every time I use it. I don’t know really if there is a special term for this in English but I call it “one thread stitching”. What is the technique? If I make the long story short, it is using a bobbin thread for threading the needle also. 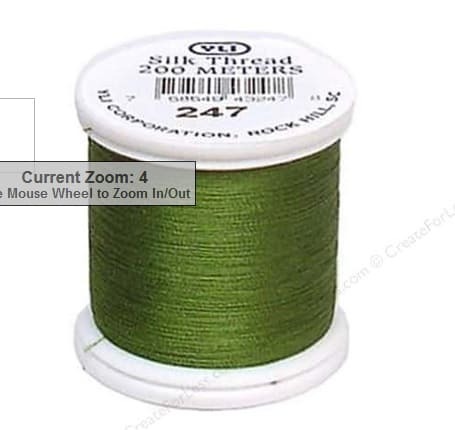 So, when you are sewing darts you are using only one thread from the bobbin to make a stitch. Let me show you how to do this. 1. 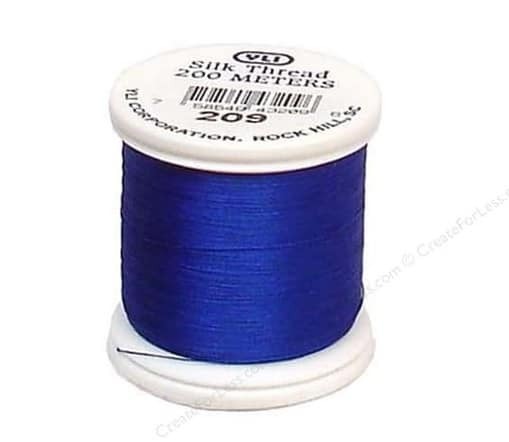 Wind the bobbin using 100% silk thread (of course, the thread has to match the color of your fabric). Silk threads are just amazing! For sewing chiffon and organza you must use them. They are very thin but they are also very strong. 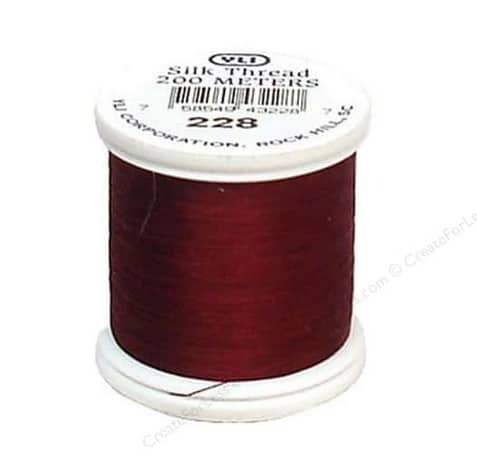 Here is an affiliate link where you can buy 100% silk threads for your projects. 2. Thread the needle with the bobbin thread. It is a bit tricky because you have to thread it from the back to the front of the needle (exactly opposite to the threading the needle the regular way). 3. Connect the bobbin thread you just inserted to the needle with the upper thread (which you still have on your sewing machine left from sewing previous projects, right?) using a knot. 4. 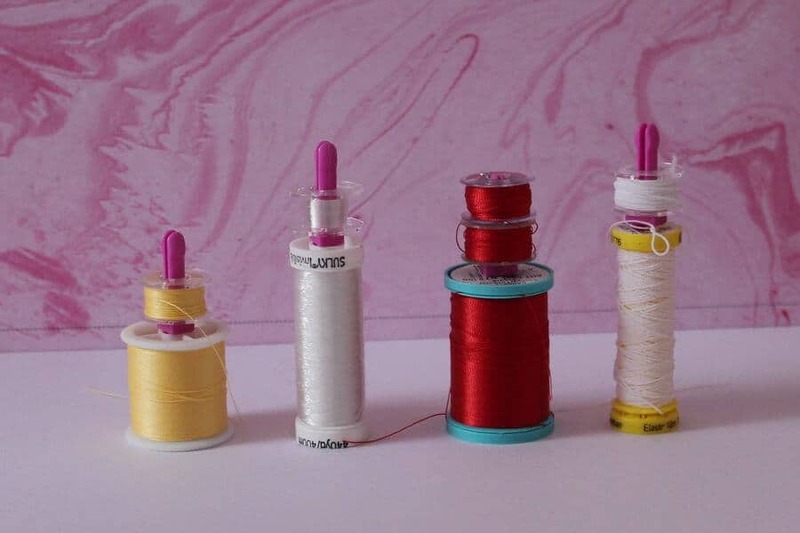 Pull the upper thread so that the bobbin thread is going all the way to the spool pin and make sure that you have enough thread to sew the dart because you will be sewing only with the bobbin thread. 5. Now you are ready to begin sewing the dart. Keep in mind that in this video to the right I didn’t sew a real dart, I just used a piece of chiffon fabric to illustrate the tip. You have to be really careful at this step. You will have to sew the dart from its point to the side seam (which is the opposite you are used to, right?). Position the fabric next to the needle and lower the needle to the point where you wish to start. Make sure that the needle actually goes into the fabric and you don’t have any excess thread in the needle so it doesn’t make a loop in the beginning of the dart. Lower the presser foot and start sewing gently guiding the fabric along the seam line letting the fabric feed naturally. 6. After finishing the seam secure the end of the dart by making a knot. 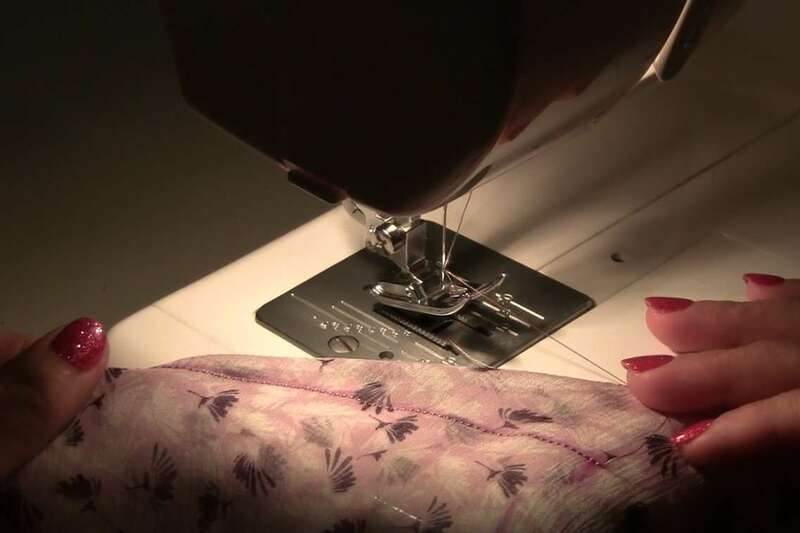 This “one thread sewing” technique can be used for sewing darts in sheer chiffon and organza fabrics. 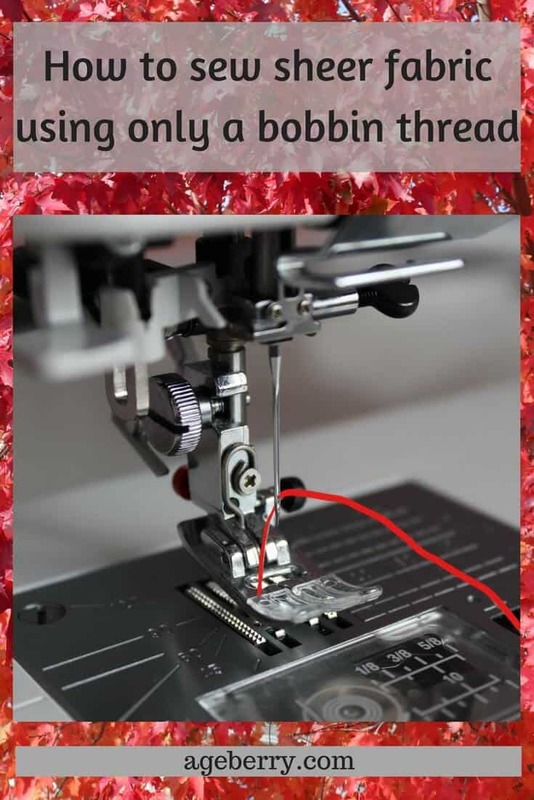 This tip can be a challenge if you never used it before and it takes some time to master the technique, I suggest practicing on scrap before sewing. Did you like this tutorial? If you want to save it for future reference and to use it later when you are ready to use this tip, pin this image to your sewing board on Pinterest and follow me on Pinterest for more tips, tutorials, and inspiration. Would you like to know more about silk fabric types? Check out my really useful guide “Most common silk fabric types (and tips on how to tell them apart)”. Thank you! That’s so nice of you to say! Please work on space travel, a balanced budget and world peace. It should be easy for you after doing this. Ha-ha! Thank you! I am happy to solve some small problems. Absolutely amazing technique!! Thanks for sharing! Thank you! Did you try to do it? I am a very experienced seamstress but this blew my mind, never seen this before and will definitely try it. Thanks for the super instructions! Thank you for your sweet note, Erica! I know many other interesting sewing tricks I would like to share but it takes time to create tutorials. But I will try. Fascinating! Will certainly be using this move! What happens at the ends threads, are they knotted? After you finish stitching you will have to secure the threads as usual – it will be two thread tails left in the end, secure them manually. Check the video of the article. Thank you for sharing this tip. I always wondered how the thread was so or should I say “sew” well hidden. I tried it and it looked really nice. So glad I learned something new. What is the advantage of doing it this way? When you sew darts and pintucks in sheer fabric you can’t just backstitch to secure the seams, it doesn’t look nice. And if you make a knot at the point of a dart or a pintuck you still can see some threads through the sheer fabric. So, this technique makes darts look nice and eliminates the need for backstitching and knots when you work with see-through fabric. Hi, I am trying to mend a sheer dress that has pulled apart at the darts. 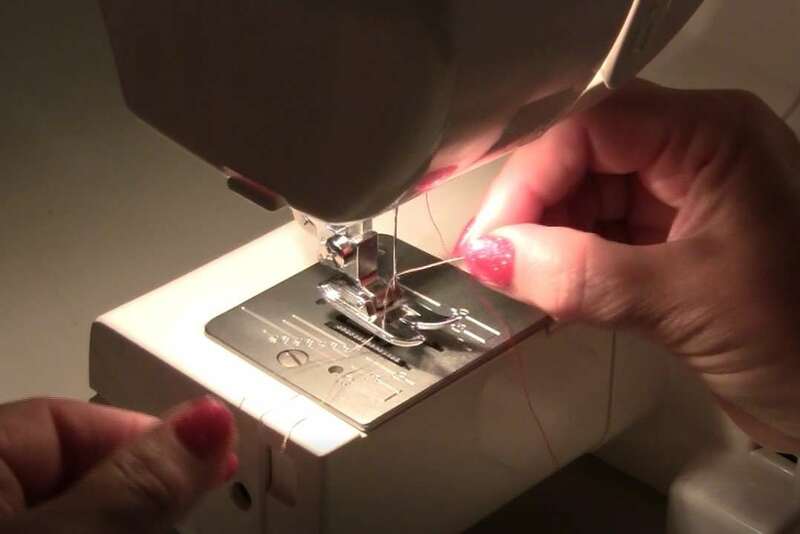 Do you have any special tricks for sewing sheers so that they won’t pull apart so easily? I plan on trying this method to work on the dress. Catherine, the problem you have with your sheer dress is quite common. It happens usually when a garment is too tight. 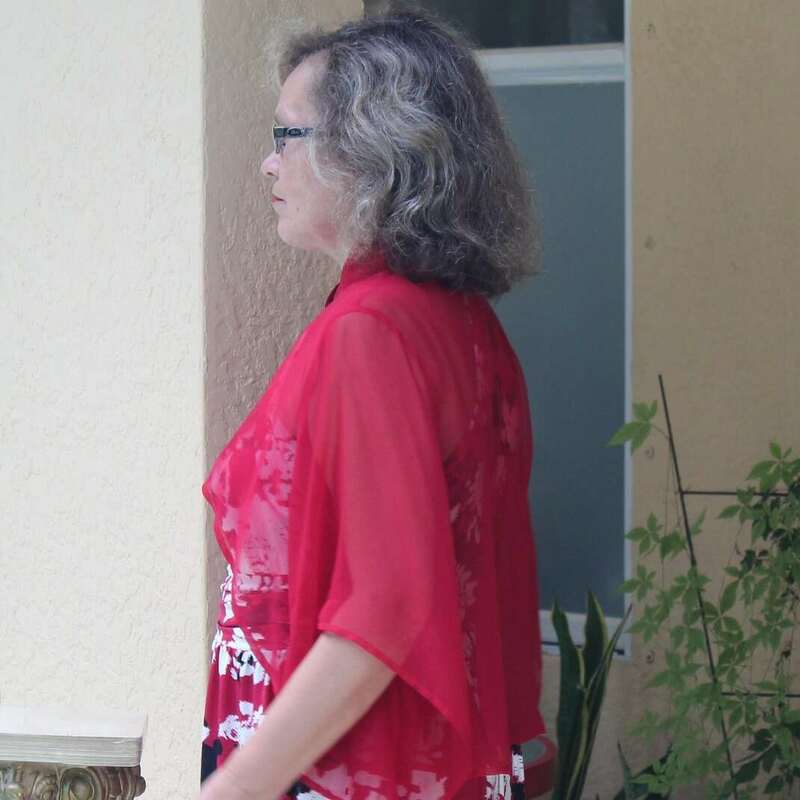 It’s better to make something from sheer fabric with as little seams and darts as possible. I heard that you can put a strip of sheer or clear stabilizer when sewing seams on sheers but I didn’t try it yet. 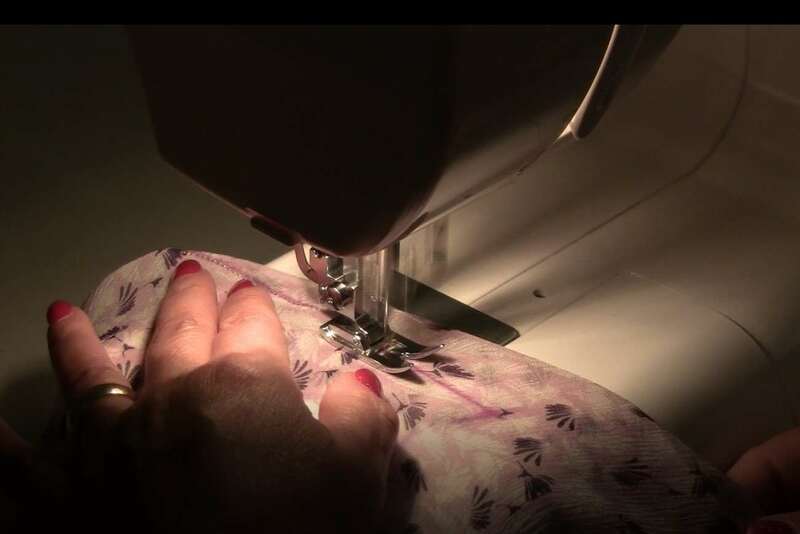 When I sew chiffon I usually don’t use a complicated pattern, and I choose a design without many seams and darts. I also like to use ruffles and gathers with sheers. I hope it helps. As for your dress that you try to mend it’s hard to give an advice without seeing the dress. 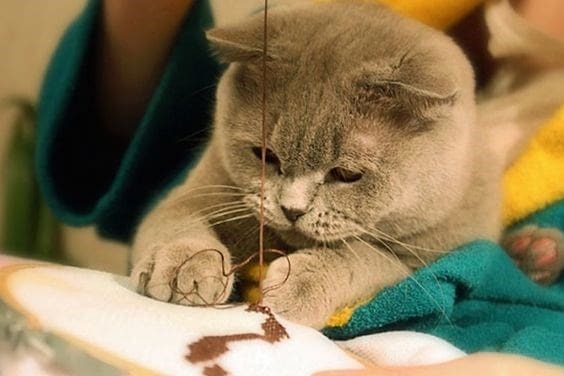 I would go to Pinterest and look for a tutorial on mending clothes. Maybe you can find a useful advice there. This a very awesome tip, thank you for sharing your detailed instructions for this technique. Thank you! I am glad my instructions were useful! This is an amazing. Haven’t tried it yet but I wish I new it years ago. Thank you! To me, it’s more fascinating than it’s useful but I used it a couple of times though. Thankyou for this tip.I am an experienced seam stress but I never seen this before.I will try it for sure. I have been sewing for years and years and never have I heard of this. I am going to try it. Thank you for your tip. Thank you for commenting! I am glad to hear that my tip about sewing sheer fabric was useful. We can’t know everything there is to know in sewing. I learn something new almost every day (from my sewing friends or from Pinterest). I was wondering just the other day if I could make a chainstitch on a regular machine, and you have provided the answer! This is amazing. I am wondering how you discovered this. Thank you! Oh, I didn’t discover it myself for sure but I knew it for many years already, I don’t remember now how; I guess I read about it in one of the Russian sewing books (they are full of really unique sewing tips and techniques by the way). But I looked online now and I see that there are other articles about this technique also. I have to say that this tip just blew me away! I have been sewing over 50 years and cannot even begin to say how many wardrobes I have made for myself. There was a time when I had no outerwear that I had not made myself. All my outfits including suits, coats, and evening wear were made for me by me. My business associates would see me at a cocktail party and say, “you didn’t make that…” and I had. But in all that time I had never seen or heard of such a technique! Things like this are what make the internet of such value to many of us. Absolutely amazing! 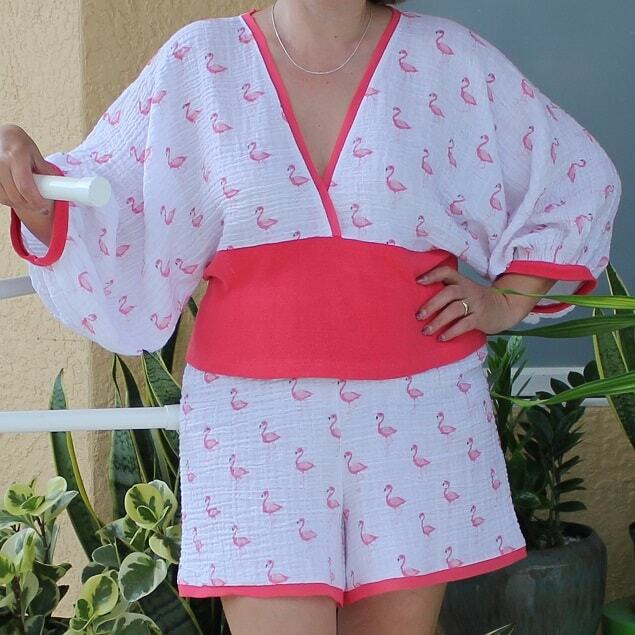 And… I have a piece of fabric in mind right now that I’m going to use to try this! Thanks so much! Patricia, thank you very much for your kind words! I am happy to be useful with my sewing tutorials. I make my clothes myself always also, mostly because I like to dress well and to have one of a kind pieces that fit perfectly. I know many sewing tricks but I never know which of them are quite common and which of them are unique. Maybe have a look at some of my other tutorials on the blog. Here is a link to one of them: https://www.ageberry.com/narrow-hem-tutorial/. Sewing is the best hobby ever, right? Best sewing tip I’ve gotten in a long time! Thank you! cannot wait to try this after i re watch the video. clever of you. I really like the 30 minute dress. I will try this for a summer dress. 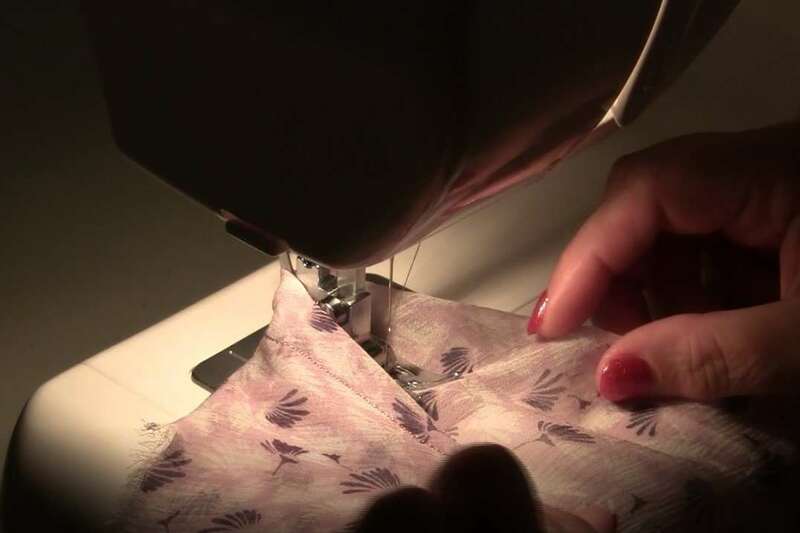 I also enjoyed the video on how to make a fine seam on silk. I am glad to hear that! Thank you for taking the time to drop me a sweet note! No, the upper thread has to be removed. 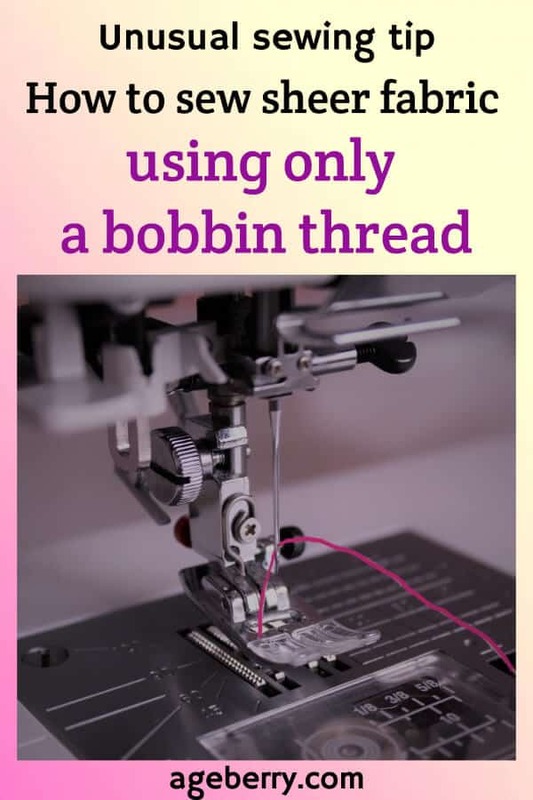 You need to tie it to the bobbin thread just to bring the bobbin thread up- otherwise, you just don’t know how to thread the machine. You sew only with the bobbin thread.